We offer a range of farm assured fresh and cooked meat joints that are deliciously tasty no matter how they are served. Our organic lamb can be cut to your specific requirement at no extra cost and the quality continues in to our 21 day matured organic beef. 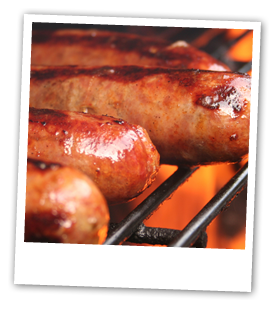 We source the finest rare breed free range sausages lovingly prepared by hand by The Blue Pig Company. And, our bacon range offers excellent value for money. The premium cooked meat joints we offer come from the master butcher, Martin Carefoot, who also delicious steak and pork pies.